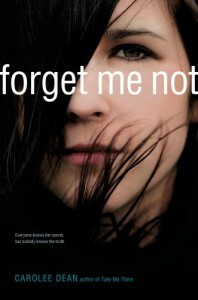 Forget Me Not - Devin Reads! I was very nervous to start reading this book because of the way it was written. I have tried to read another book written in the same way and I couldn't get into it. However, this book totally had me hooked within the first few pages! I loved the story, I loved the characters, I loved everything. I am so glad I picked this to be my first read of 2014!